Gujarat Law Society (GLS) has drawn a legacy of imparting education of the highest pedestal. Such education, however, has refused to confine itself to books and classrooms; but, has manifested in the society, at large. Values like empathy, compassion and sensitivity are deep entrenched in the students’ conscience and the top brass of GLS has always inspired students by leading from the front. Be it the management consortium of the central office or the staff members and employees of associated institutes, they have all exuded an unambiguous urge of coming forth and making a contribution to the society’s cause. As Shri Sudhir Nanavati, Executive Vice-President, aptly puts it “Service to humanity is service to God.” He sets the tone for a socially relevant and responsible module of education which keeps humanity in the centre of all conduct. While Gujarat Law Society (GLS) has always been on its toes to make help reach out to thousands in the hour of distress, it has not parted with its social responsibilities during all other times either. And when nature has unveiled its wrathful face, it has stood by the people to pacify them, console them and do what it could to regain normalcy sooner rather than later. When Differently Abled Sought Opportunity: At GLS, there is a clear understanding that ability lies in one’s ambitions and not in one’s physical built. Umpteen efforts are initiated by various GLS colleges as SMPIC, HACC, GLSIC and NRBBA to extend their love, care, help and association to the underprivileged and the specially challenged children. Pahel started with a dream to do something for those kids who are special in some or other way, but don’t get an opportunity to prove. 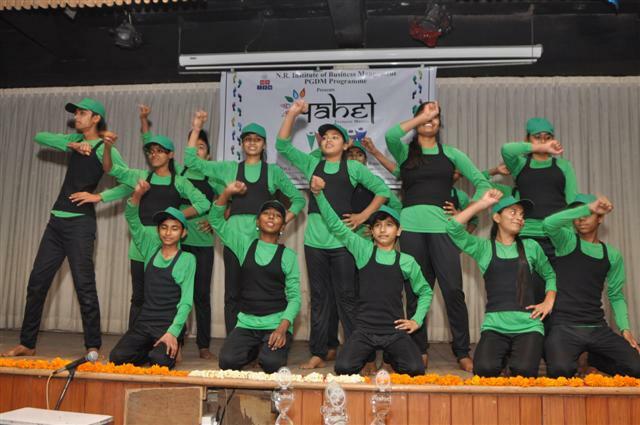 The underprivileged and the mentally challenged kids are given an opportunity to display their talents in music, dance and allied areas. PAHEL was introduced by the students as a practice and implementation of the lessons they had learnt during their classes of Corporate Social Responsibilities. The students of PGDM have been visiting NGOs to meet the children and help them prepare for the competitions as well. The planning for the third edition started with a focus to do it on a grand scale in mist of the society for creating maximum awareness. Pahel 2013 was held on 16th February, 2013 More than 150 children between the age group of 7 to 18 years, who are visually impaired, hearing impaired, mentally challenged or have other disabilities showcased their talents in various arts including vocals, dance and thematic representations, fashion shows and dramas. The participating NGOs include but are not limited to: Sparsh, Shwas, Sarjan and Blind People’s association etc. 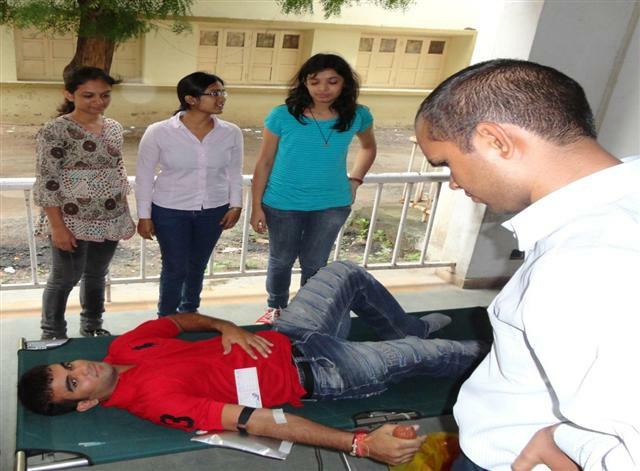 When requirement of Blood transpires: The goal of Gujarat Law Society is not only to groom managers for tomorrow but also to develop socially responsible citizens. It is truly said that blood cannot be manufactured; it can only come as a gift from people. 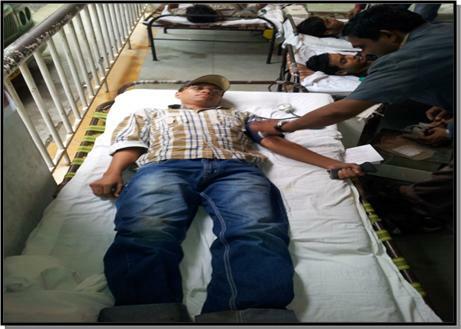 To cultivate feeling of helping less fortunate people by being fortunate, GLS Management & Computer Programme has joined hands with Prathama Blood Bank & Indian Red Cross Society. 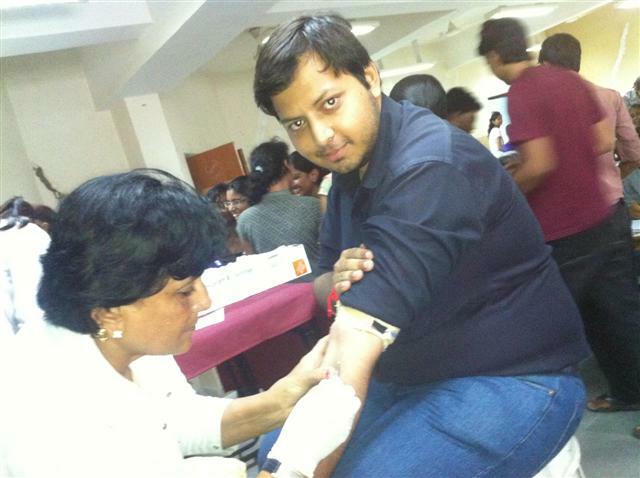 Students have extended their full co-operation by generating 75 bottles of blood for this noble cause. Whenever deprived kids need support: GLS always believes in giving back to society and always take responsibility to build better society with value and integrity. A more common approach of CSR is philanthropy. For a organization to take responsibility for its actions, that business must be fully accountable. 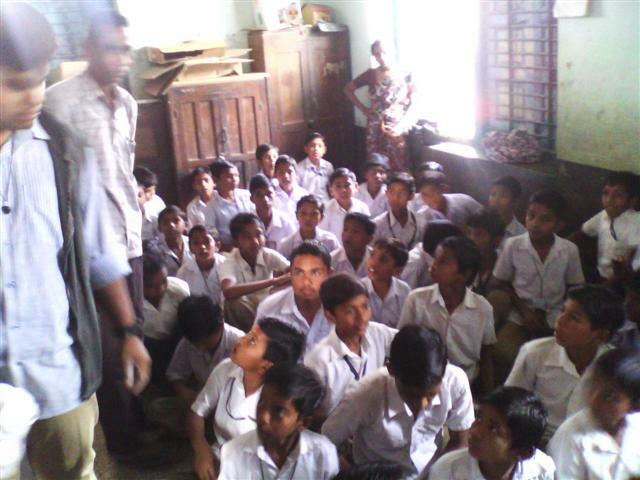 As part of CSR, students of N.R. Institute of Business Management (NRIBM) donated clothes to Gunj which is Delhi based NGO which has business tie up with whirlpool. They got overwhelming response. 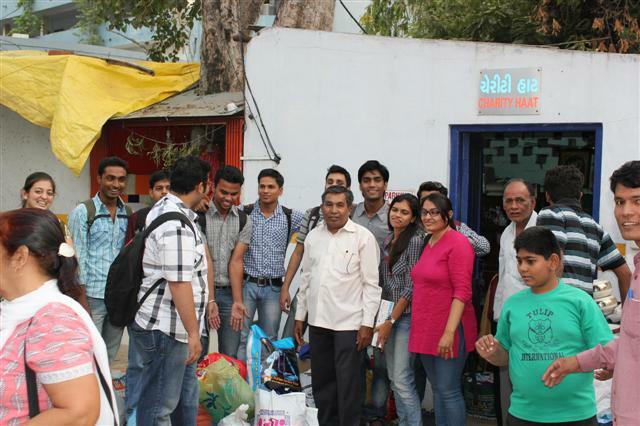 They donated any used thing at Charity shop located in Vastrapur, Ahmedabad. This charity shop is backed by Blind man association. Apart from that they donated newspapers and magazine to Utthan which is vocational training school for mentally challenged kids. They distributed cloths, stationary, food to the underprivileged students of SAVERA and most importantly this activity brought smiles on the faces of students and their objective got fulfilled. 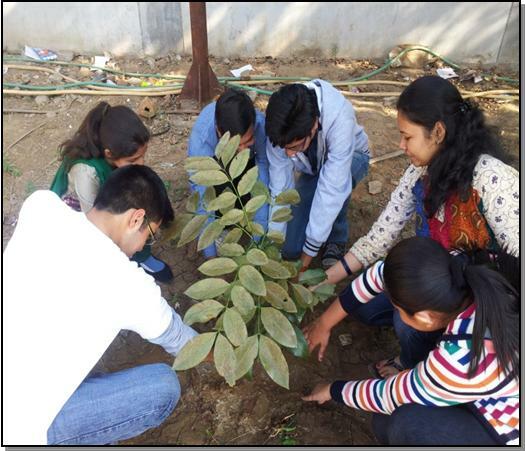 Apart from above activities, our students of GLS BCA programme organized a visit to Shekhdi village as part of CSR activity. 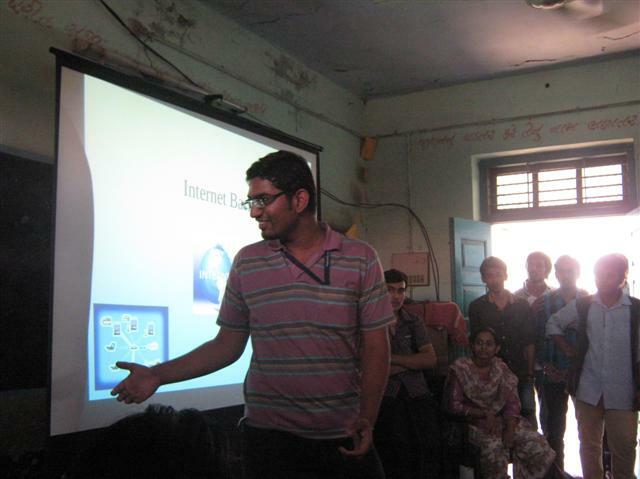 Students visited Sarkari Parthmik Shala and gave presentation about computer awareness, like hardware, software, tablet, Internet. The session ended by distributing stationery to students. 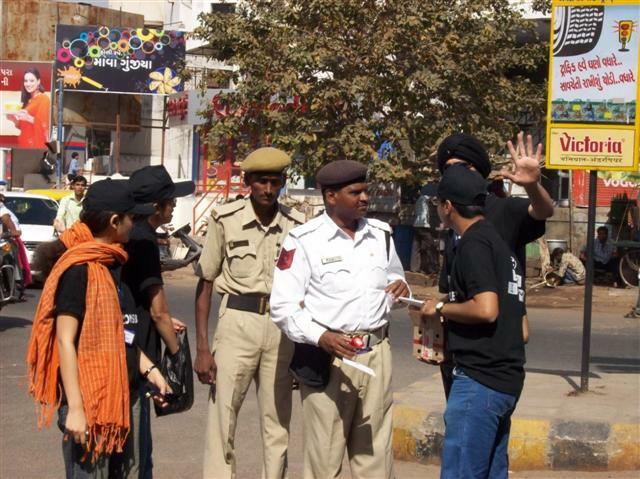 When significance of traffic cops was realized: “I am responsible” Campaign was one of its kind events which was successfully managed by all the students of N.R. Institute of Business Management (NRIBM) with a huge support of all the faculty members. Students honored all those Traffic Cops by giving them Ice cream and Thanks card in return of the selfless contribution and dedication of the cops towards the society. It was a good way to deliver the responsibility toward the society by such event. 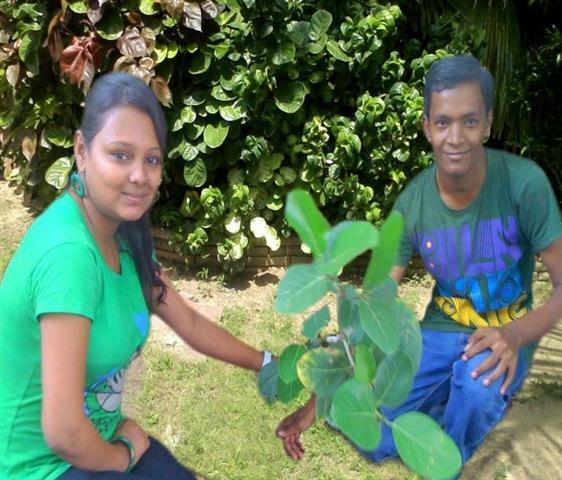 When global warming stares: Tree Plantation was a symbol to spread the awareness about importance of trees to the society and to keep society clean. When the Visually Impaired Desired the Vision of Education: Different GLS institutes come together to spread education and awareness among the visually impaired. From such small efforts as reading books, newspapers and magazines for the visually impaired to waiving out 100% tuition fee for those interested in being a part of GLS, no stone is left unturned in making education reach to all. Apart from above efforts, GLS Computer Programme students and faculty members visited Blind People association as part of CSR activity; they donated CDS as per their requirement for recording their lessons. When women health is on priority: GLS Institute of Computer Applications (GLSBCA) had organized one day seminar on women well being especially for all girls of GLSBCA, which was under taken by the women development cell. 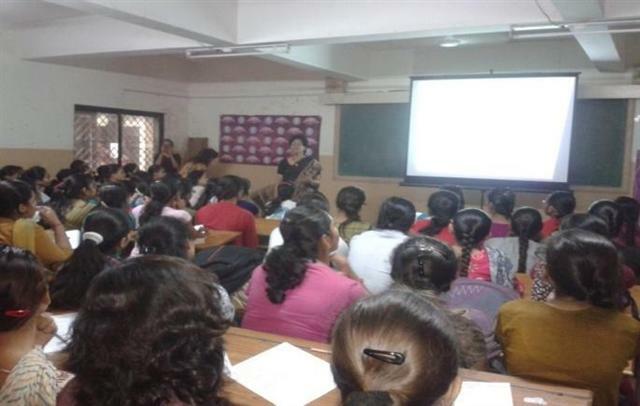 This seminar was held on 6th September, 2012 by Dr. Sonal Kotdawala, gynecologist, from an association FOGSI (Federation of Obstetrics & Gynecological Societies of India). The aim of this seminar was to provide awareness about women’s health, well being and safety. When Thalassemia rises: A seminar on thalasemmia awareness was conducted by GLS Institute of Computer Applications, it was taken up by Prathama Blood Center and it’s test was followed after thalasemmia awareness seminar. When Earthquake shook: When the Gujarat earthquake destroyed buildings, one thing that stayed unfettered was the institute’s love towards the society. 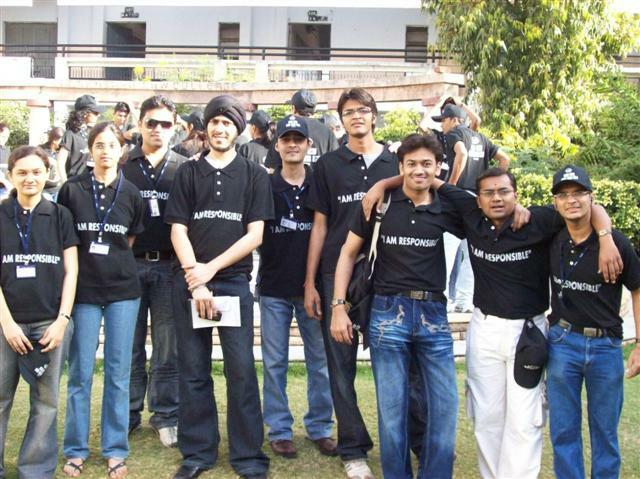 It immediately swung into action and its employees contributed a part of their salaries to raise a corpus of INR 5 lac. This helped in the construction of a shelter near Bhuj for women and children, who had lost their families. When Tsunami drowned: As the Tsunami mercilessly engulfed a major part of India’s southern peninsula in distress and disaster, students and faculty of SMPIC (GLS’ undergraduate college) distributed 800 kits of clothes and other daily utilities to the flood affected people of Karunagpalli district of Allepy, Kerala. When Floods inundated: As floods sunk Veena village’s roads and people’s spirits, GLS’ SMPIC didn’t let its values drown. An active and instant flood relief programme, organized by the college, helped save many lives. 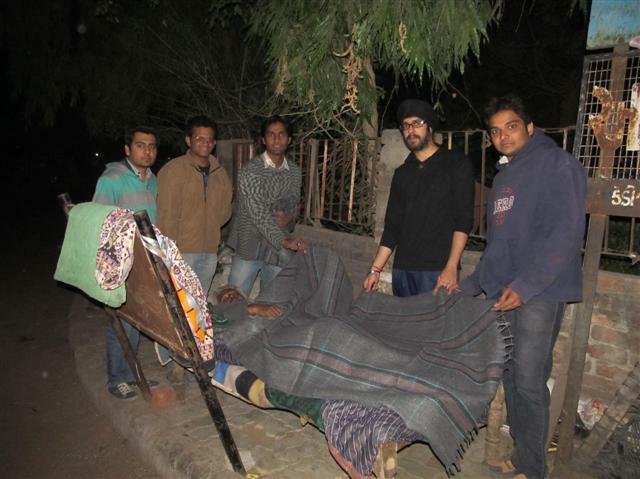 When Duty Called: BD Arts College of Gujarat Law Society has adopted over 35 villages for 2 years each under the N.S.S. scheme. Students are taken for frequent visits to the village and education camps are also organized. The college makes an active contribution to these villages and their populace’s lives through such efforts as de-addiction camps, village cleaning drive, health awareness programmes, women empowerment campaigns, propagating the merits of literacy and enrolling educated villages for higher education programmes, tree plantation and animal care. The villagers are sensitized towards new yet highly beneficial concepts like water harvesting, foresting and preservation of environment. Apart from such adoption of villages, regular visits are also made by the college to schools and other institutes to inculcate the values of health and nutrition. In fact, CU Shah Arts College has envisioned and executed a programme called ‘Aarogya Kalyan’ to propagate health and nutrition among rural children. The volunteers of these programmes also make efforts for imparting free teaching in schools on Sundays.